↑ Fennessy, J.; Brown, D. (2008). 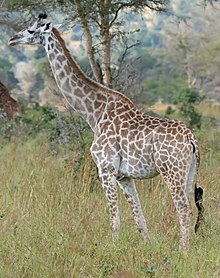 Giraffa camelopardalis. 2008 IUCN Red List of Threatened Species. IUCN 2008. Retrieved on 2009-03-13.